Something Old and New, Borrowed and... GREEN! : Pretty! 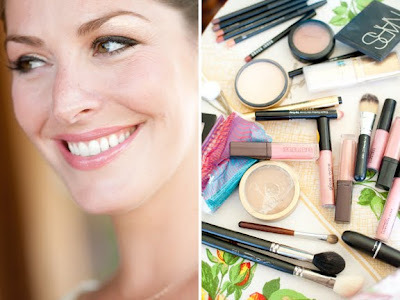 Another pretty wedding day look that I would love is this one from The Bride's Cafe. I think it's time for me to go find a Sephora and get a make over to see what I like! Can we add this to the menu?